Hamilton won the title with three races to go, all of which Rosberg then won. 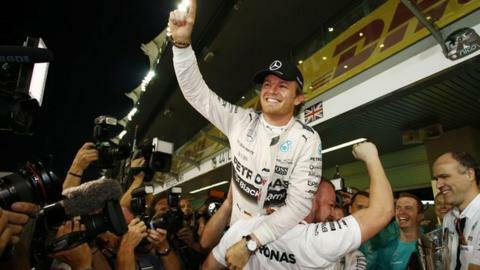 Rosberg said: "Qualifying, he did a better job - up to the point he won the title it was 12-three or something. "That was my strength last year. Strange it turned around. Tough to understand it. I don't know exactly why; I just need to keep it going." Hamilton won the title in 2014 despite qualifying behind his team-mate more often than not, passing Rosberg on track a number of times to take 11 wins to the German's five. But Rosberg believes that Hamilton's run of 11 poles in 12 races at the start of this season was the key to the Briton's third championship, in which he won 10 of the first 16 races before Rosberg's late run of form. "Lewis did a great job this season, he was more consistent," said Rosberg, the son of the Finnish 1982 F1 world champion Keke Rosberg. "All the parts have to fit together to beat Lewis. If I'm always qualifying behind him, that is going to make it very difficult. "It's not about good fortune in qualifying. There is no fortune in that, especially when it's 12 times. It's just not being quick enough. "I just need to find some more pace. Which I did. I will continue to push, of course, because half of me is a Finn, and in Finland it's the Finnish sisu, which is always the fighting spirit all the way." Rosberg's remarks came in an exclusive interview for the BBC F1 Review show, in which he commented for the first time on the incident after the title-deciding US Grand Prix which has come to be known as 'cap-gate'. 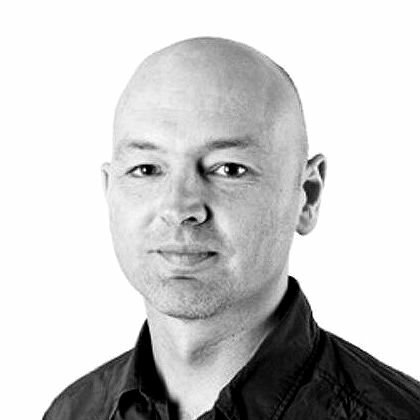 Rosberg had also been annoyed by what he considered Hamilton's over-aggressive driving in taking the lead at the start. And he was angry at himself for making a mistake late in the race that cost him the lead and handed victory - and the title - to Hamilton. In the pre-podium room following the race, Hamilton tossed the second-place cap to Rosberg, only for the German to throw it straight back at his team-mate. Rosberg said: "It's our usual games. He passes me the cap; I pass it back in my frustration." At the time, Rosberg described Hamilton's move in pushing him wide at the first corner and causing him to lose places to both Red Bull cars as "extremely aggressive and we hit each other. Or should I say Lewis came into me". Reflecting on the incident, Rosberg said: "It was one step too far, too much - in his approach to it; in what he was thinking when he decided to drive into me. That was not good. "But it wasn't really the race decider because I did manage to fight back past Lewis, pass the Red Bulls, take the lead, go off into the distance, and then get pulled back by the safety car, because I had a 10-second lead. "Then the second safety car destroyed my second lead of a couple of seconds and then I messed up myself, which was hugely annoying. Not good; don't like doing that and especially in a way I had really never done before. "I couldn't find an explanation for it. I found an explanation later, but, whatever the explanation, it was still my fault. "That was not a good day, and then Lewis celebrating the championship on that day, not fun." Watch a review of Lewis Hamilton's championship-winning season in Lewis Hamilton: Making History on BBC iPlayer.